Meet Textkernel at these events in Europe! Meet Textkernel – Visit us at these events with interesting discounts! In the upcoming months, Textkernel’s team will visit several events and trade shows all around Europe. As our business contact, you can profit from special discount tickets! Check out the list of events where you can meet us and for which we can offer a special promotion. Would you like to visit one (or more) of these events or schedule an appointment with us? Fill out the contact form. 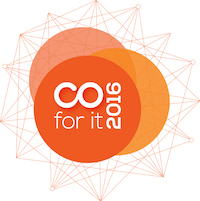 On Thursday 13 October, Connexys is organising their third customer event “For It 16”, with this year’s theme: Stay Connected. With a programme full of information, inspiration, interaction and FUN, Connexys would like to celebrate with their customers and partners and share interesting trends within the organisation and the industry. 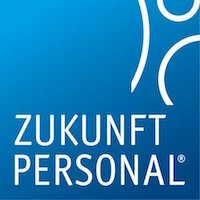 The HRM Expo | Zukunft Personal is Europe’s hot spot for HR decision makers. With over 600 exhibitors and a great program of 450 agenda items, this market place for innovations offers more than a 1,000 tools for your daily business. Experience an event with international key note speakers, best-practice cases, scientific research and interactive formats. Bullhorn Live 2016 is the ideal event for exploring the opportunities and challenges associated with accelerating your business growth. It’s the one conference a year that brings the entire community of Bullhorn customers together along with Marketplace Partners, industry experts and consultants, and the Bullhorn team. HR Tech World opens in Paris again this year; the World’s foremost Congress & Expo is recognised globally as the leading event on the Future of Work. Its growing community has influence over 40 million employees globally, no other community is having such a powerful impact on shaping the future of work through HR and Technology. The Digitaal Werven award has become the most wanted award in the Dutch recruitment industry. This year, Digitaal Werven takes place for the 10th time and there has not been one year that less than 95% of the visitors mentioned they learned something. Don’t miss out on this great Dutch event. HR Unconferences are global series of events where the emphasis is on conversation, cross-level communication and free exchange of ideas and experiences, aimed at HR practitioners, recruiters and corporate executives about the latest innovations and technologies used in making HR easier. These events are organised in more than 50 countries across the world and attended by over 6000 people globally. Fill out the form to ask us about discounted tickets and/or schedule an appointment with us at the show! For all events, please check our event calendar.